It’s an absolutely stunningly gorgeous autumn morning here: bright sunshine, blue skies with wispy clouds floating here and there, the leaves on the trees in the park surrounding Spectral Towers turning all manner of golds, yellows and reds, and the crazy local squirrel playing dare with the traffic whizzing past on the road just outside. 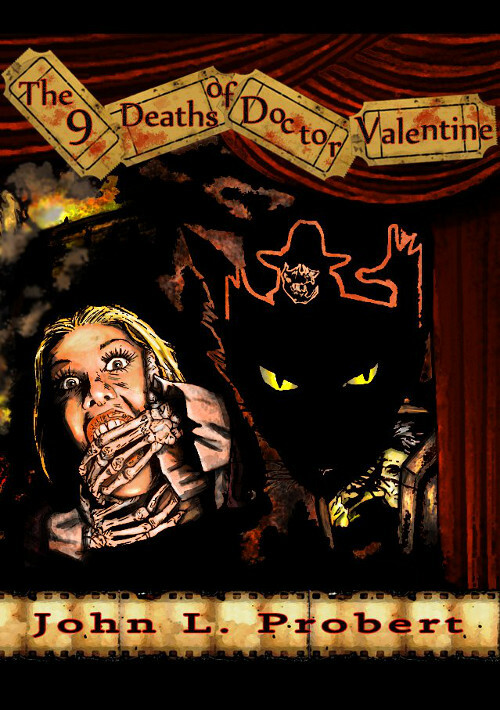 To cap such a glorious start to the day, we have a link to a review of The Nine Deaths of Dr. Valentine from Anthony Watson’s Dark Musings blog, which has only sweetened an already marvellous day. To read what the good Mr. Watson had to say, please click here. Talking of John L. Probert’s opus, we are both sad and glad to say that the paperback has now sold out from us here at Spectral Towers – HOWEVER, it is still available from both Amazon UK and US. The reviews have been universal in their praise for the novella, so why not get yourself a copy today!